Stark persuasively draws unlikely connections between skyscrapers and sexism, grid cities and loneliness, the internet and sustainability. By pinpointing the dominant shape of a period, Stark reveals the global mindset of a particular time and shows how it is essential to understanding, recognizing, and predicting globally shifting value systems. Four major shapes—the web, the ladder, the helix, and the torus—are at once symbolic and tangible, traceable motifs through time. Early humanity, for instance, is characterized by the circle or web. Medicine wheels, the round bottoms of tipis, the tribal structure, and the interconnectedness with nature all point to a circle, a web shape that is seen in everything from architecture to the dependence on moon cycles, and that is emblematic of the spiritual belief that all things are connected. This book is powerful in driving such recognition home; it transforms worldviews so that the shape of life becomes unavoidable. The Industrial Age’s ladder comes to represent the linearity of society, with the haves at the top and the have-nots at the bottom. A grid, which can be viewed as many ladders together, replicates in the architecture of such cities as New York in the form of city blocks and skyscrapers. In more recent times, the ladder twists and becomes a helix or network, representing the DNA of an individual and the newly interconnected globe through the internet. While each age is defined by a prominent shape, the shapes of the past linger. In the future, the torus, or a doughnut shape, could be next, with its endless curves and overlapping circles. Though this point is perhaps understandably less developed than the rest of the shapes, it is a curious thought that can only be proven in time. Stark draws meaning from recognition of the world’s changing shapes, showing how they make it possible to comprehend looming concepts. Anecdotes and photographs from Stark’s long and illustrious career as a journalist ground her grand theories in specific places and times. The moment of transition between the old order—signified by the binary shape of a ladder—and the new order—signified by the helix or network—comes into clarity when Stark goes from a visit to an architecturally linear chapel in Cambridge to the interconnected bustle of London’s Heathrow Airport. These anecdotes make the book’s abstract concepts accessible and digestible. Stark’s journalistic approach lends the book a particularly astute, confident tone that persuasively draws unlikely connections between skyscrapers and sexism, grid cities and loneliness, the internet and sustainability, ferns and space. Concepts stick in large part because of pithy writing. Stark’s commitment to her philosophy makes a potentially dense and strange subject seem dazzling and clear. A great deal of planning is evident in this seamless and gorgeous book, and the result is glossy and striking. The spectacular photographs and images secure the grand theories in specific places and times and brilliantly illustrate the text’s visual connections. Several of the included photographs were taken by Stark herself. 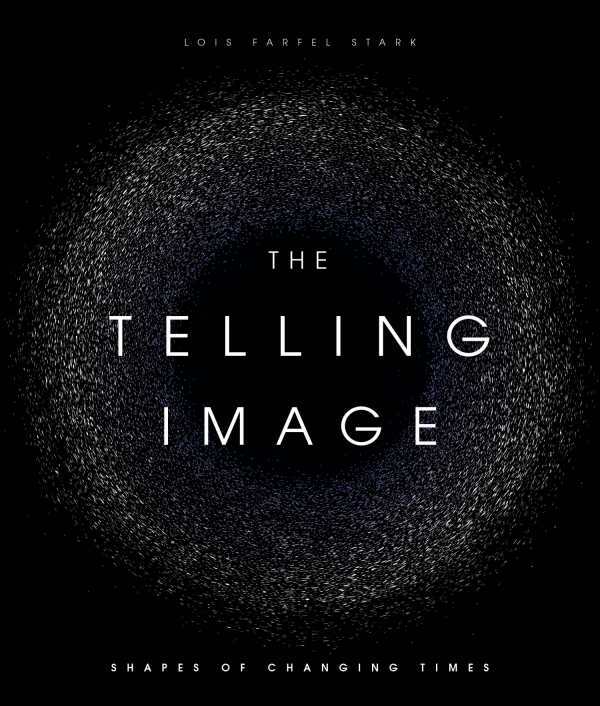 The Telling Image is an all-encompassing vision of the world and meaning making; it is engrossing and inescapable.